Houston, TX, March 14, 2019 --(PR.com)-- Digital makers rejoice! In celebration of National Pi Day (3-14), Experimac West Houston and Experimac Pearland Parkway are launching a series of kid-focused programming workshops centered on the Raspberry Pi, a fully-functional computer that fits in your hand and opens your mind to a world of computing and programming possibilities. The workshops will be open to kids 8-15 years old. The Raspberry Pi offers a wonderful opportunity for teaching children about computers and programming with accessible exercises for new and experienced digital makers. This workshop incorporates the innovation of 21st century STEAM education to better prepares students for higher education and skilled trades. 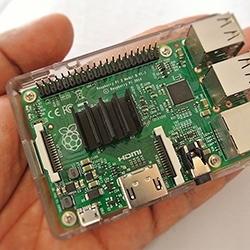 Price includes the Raspberry Pi computer that the child uses during the workshop. Experimac is an innovator in technology, sales, and service of electronic devices such as computers and smartphones, with special focus and expertise in pre-owned Apple® products. We are a one-stop shop that meets the high demand for tech services in every local community. Experimac West Houston and Experimac Pearland Parkway are independently owned franchises of Experimac. Press release in PDF format.